What to Do With Kids on Family Vacations in Costa Rica? 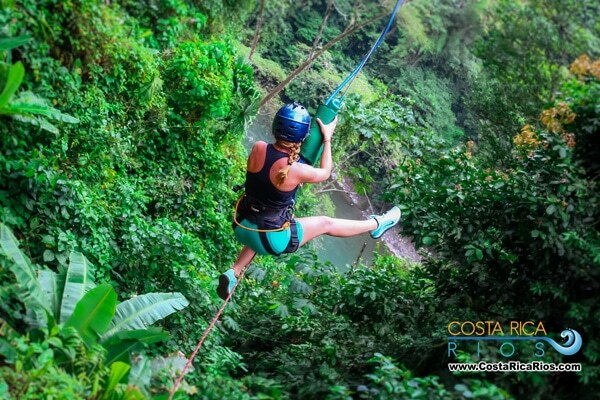 Costa Rica rates among the world’s best family vacation destinations and that’s because this country is bursting at the seams with an array of outdoor pursuits that enthrall kids and adults alike. Families love holidaying here and that’s hardly surprising when you consider the inherent love of children and family-life the Tico culture boasts. 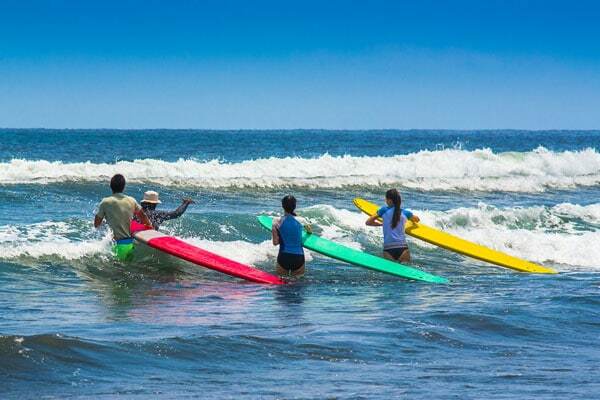 Unlike other destinations that place an emphasis on separating adult-fun and children-fun, Costa Rica brings it all together, offering immersive and rewarding experiences to families who actually love spending time together and sharing unforgettable memories. So why not plan a family adventure vacation with a difference for 2019? Come and see what magical adventures await you all in wonderful Costa Rica. What makes Costa Rica so ideal for family vacations is the fact that parents don’t really need to do too much to entertain the kids: the country’s wildlife-enriched wilderness does a great job of grabbing everybody’s attention. A nature lover’s dream, this compact country is enriched with a host of eco-tourism projects that offer educational and totally fun activities for kids of all ages. In Costa Rica, kids learn about the importance of environmental protection by discovering rare and endangered species, by walking on hanging bridges in virgin forests and by exploring national parks full of creatures, sounds and smells. You’ll be amazed how fascinated children can be in unspoiled nature and even if you think your child is not the nature-lover you’d hoped he/she would be, just wait until you see them here, locking eyes with a sloth, spotting colorful toucans and giggling at the piercing call of howler monkeys. Jungle experiences are the #1 attraction for families visiting Costa Rica and rest assured that there are plenty of eco-lodges that offer comfortable stays for even the most creepy-crawly-phobic child (or parent). 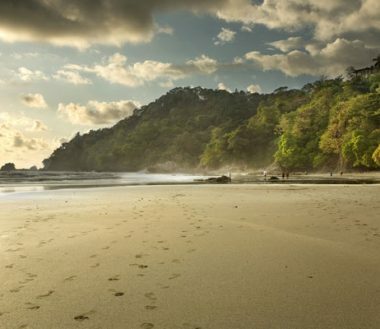 See our selection of the Best National Parks in Costa Rica that make for superb family vacations. Families heading to Costa Rica for the first time can be anxious about the country’s extensive maze of hiking trails, thinking that the options for young families are limited. Not so! The most popular destinations, in fact, are tailor-made for family vacations, offering a wide array of options for parents with young kids in tow. Visiting Manuel Antonio and La Paz Waterfall Gardens to enjoying leisurely walks is a no-brainer for first-time visitors, especially those with very young kids or those who don’t normally hike very much in the great outdoors. If your family is a bit more adventurous and used to hiking then the whole country really is your oyster: Costa Rica boasts a multitude of hikes to waterfalls, mountain peaks, temperate and cloud forests, as well as endless miles of glorious beaches that can be walked for hours on end. You can read more about our favorite family vacation hiking trails. Family-centered resorts are very popular here, especially along the north-western Pacific coastline, where you’ll find a bevy of excellent choices along some of the most celebrated beaches in the country. Yet if you’re looking for some quality time away from the maddening distractions of everyday life, then you might want to look into some of Costa Rica’s most unplugged eco-tourism lodges instead, where jungle activities, surfing, swimming, snorkeling and night wildlife-watching tours ensure the kids not even notice the Wi-Fi is missing. 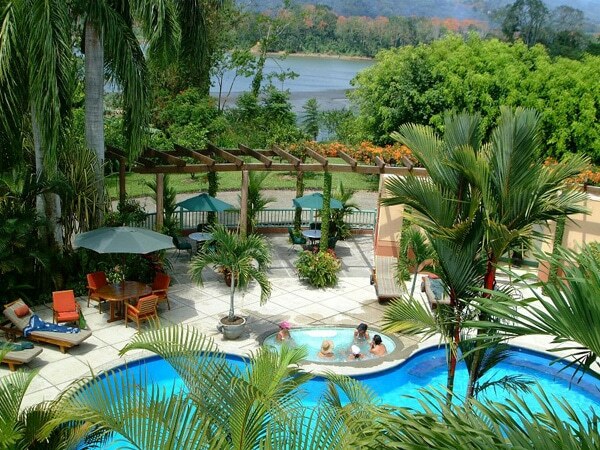 Read more about some truly special Family-friendly Resorts in Costa Rica. It may surprise you to learn that Costa Rica isn’t replete with amusement parks and that’s because the whole country is considered a nature-filled family playground – the need for dedicated play parks is not as pronounced here as in other countries. Nevertheless, there are a few great options if you have children of varying ages and just wish to treat them to a different kind of day out. Costa Rica’s best amusement parks are much more organic and less commercial than those back home and most visitors love them precisely for this reason. In Costa Rica, kids can slide down thrilling water rides created with thermal springs, fly through tree-tops in pristine tropical rainforests and even indulge in a multi-sport adventure outing where horseback riding, zip-lining and kayaking provide all the thrills. If exploring mountainous wilderness on two wheels is your family’s idea of a great vacation, then you’ll be excited to know that Costa Rica is traversed by hundreds of miles of exceptional mountain biking trails and is considered one of the world’s prime destinations for bikers. The country’s diversity means that no matter what time of year you visit, you’ll find one region at its absolute prime: perfect temps to hit the trails, a kaleidoscope of destinations and fantastic scenery, no matter where you go. Obviously, mountain biking adventures in Costa Rica are primarily suited to families who bike together regularly although there are plenty of short and sweet trails if your kids are just starting off and you’d like to test the waters. We offer tailor-made mountain-biking itineraries that will ensure your family has a fantastic, safe and unforgettable time. At Costa Rica Rios, we combine everything that makes this incredible country so ideal for families and create multi-adventure vacations that captivate the hearts and souls of young and young-at-heart alike. 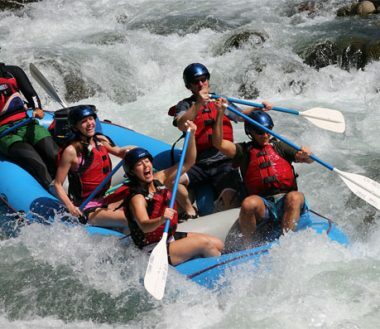 Our most popular tours combine whitewater rafting, canopy zipline, horseback riding, hiking, hot spring soaking, surfing and wildlife-watching in a week (or more) of exceptionally fun adventures. We offer soft adventures for families with younger kids and more active experiences for those with fearless teenagers on their hands. We can take you to the most popular sites if it’s your first visit or more remote locations if you crave an off-the-beaten-trail journey. Our adventure tours are not only fun and varied but they’re also safe, affordable and planned to suit your needs. 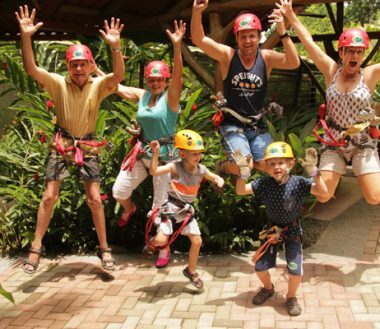 We take the hassle of planning every detail of your adventure vacation in Costa Rica so you can rest easy, knowing your vacation, and your family, are in capable and experienced hands. Above all, we combine the best aspects of Costa Rica’s nature and culture to offer truly immersive experiences – these are the family adventure vacations no family will readily forget.